Russian Central Bank revokes the licenses of Alpari, Forex Club, TeleTrade and others. Russian Central Bank revokes the licenses of five forex companies Alpari, Forex Club, TeleTrade and others. 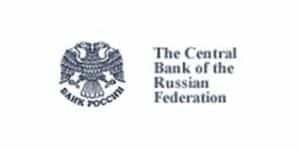 The Central bank of Russia announced on Thursday it had revoked the licences of the country’s largest companies that provide clients with access to the forex market. These companies, which include Alpari, Teletrade, Forex club, TrustForex and Fix Trade had violated central bank regulations. Also, it has revoked the qualification certificates of the chiefs of the mentioned entities. All the canceled licenses will stop operating from January 27, 2019. Until that date, companies must return their property to customers and close all obligations. The companies have to return all funds to their clients by the time. As to the Forex Club license, the reason for its termination was the repeated violations of the Russian securities law, improper execution or even noncompliance with the instructions issued by the Central Bank, providing reports with the false data. Regarding the Fix Trade broker, violation of the procedure for information disclosure on the company’s website, violation of the licensing requirements, improper organization of the risk management system. TrustForex broker has also violated Russian securities law, provided false information to the regulator, violated the reporting procedure and organization of the internal control system. Regarding TeleTrade, the company has violated the requirements for calculating of own funds, submitted the reports with false data and violation of the deadlines. Alpari Forex has also failed to fulfill regulator’s requirements. The company has violated of the procedure for maintaining of the internal accounting, provided false accounting data and violated the risk management system. In 2016, when forex brokers were to receive licenses of a financial securities market providers, Alpari and Forex Club were named the largest Russian companies in the international OTC Forex market.